I just wanted to pop in and share with you guys an awesome event that I am participating in and you have the opportunity to participate in also! 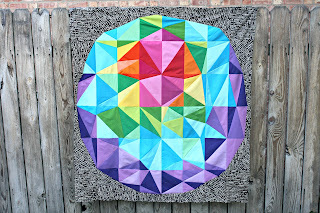 The Tula Pink Sew Along hosted by the lovely Sara over at Sew Sweetness! I made a quilt for this sew along and you can see the pattern below, Le Petite Salon. I will be sharing this quilt on October 3rd! I'm so excited to share it with you guys and be part of this awesome event! You can find the full details and schedule below, and keep reading to find out how you can participate in order to win some great prizes! Oh and there are some discount codes down there too, just in case you want to purchase this pattern yourself...or maybe buy some fabric! I just wanted to let you know about an event that I'm participating in, which runs September 24th - November 12th. It's the Tula Pink Sew Along! Every weekday through October 26th, you can find a show-and-tell of one of over 2 dozen Tula Pink quilts, along with a pattern review. 1. Join the Tula Pink Sew Along Flickr Group. 2. To be counted for entry into the contest, get sewing!! Sewn item must be made from a Tula Pink pattern (or from her book) *OR* made from at least 50% Tula Pink fabric (such as a bag, dress, etc.). If you are sewing from a Tula Pink pattern, the fabric does not need to be Tula Pink fabric. 3. If you will be adding an item to the pool to be counted as an entry, it must be sewn and photographed from September 24th through November 12th, 2012. Any items completed before September 24th are not eligible. 4. You may add up to 2 photographs per item. 5. You may add as many items as you want, as long as you made them each within the time frame. If you are making a quilt, the quilt top is adequate to be entered. Anything smaller (mug rug, mini quilt, bag, dress) should be completely finished. Now how about some discounts?!? Tula Pink has generously offered a 25% discount on all PDF quilt patterns when you use coupon code tulatroop in her pattern shop. This code is good now through October 31, 2012. My lovely sponsor, Brenda from Pink Castle Fabrics, has generously extended a 15% discount on all Tula Pink fabrics in the shop using coupon code TULA15. This code will be good now through September 30th. If you don't already have the book, Tula Pink's publisher is offering a discount code so you can pick up your own copy! Use code TULA2012 when you purchase the book from the Martha Pullen store. Support publishers and authors by buying direct! Prizes will be announced soon, but here's a little sneak peak at the sponsors that have offered up their amazing products as prizes! So let's get ready to sew!!! 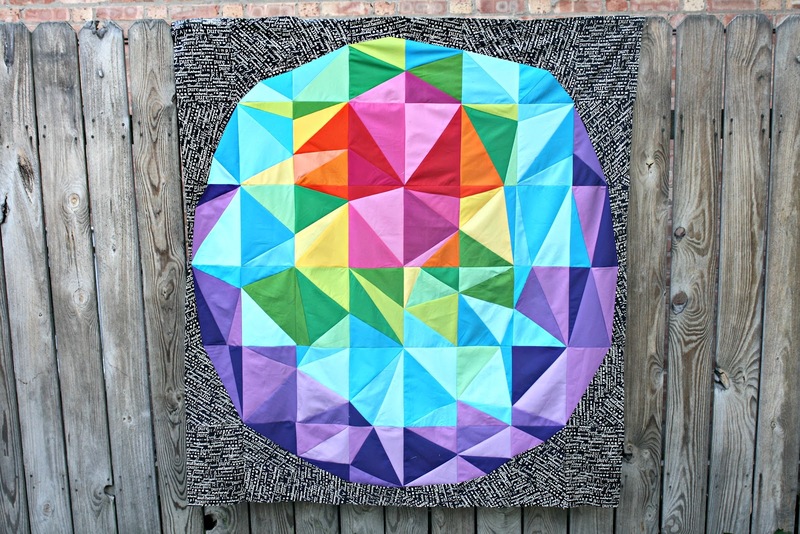 Join me and head on over to the Flickr Group and get ready for some amazing Tula Pink eye candy! I can't wait to see what you create! How fun for you! Anxious to see your quilt! Your choice to extend the crosses into the border was so clever, a tutorial on that would be so helpful, I just cant imagine the randomness of the square in the border and then a mitered corner. I will be joining now! !